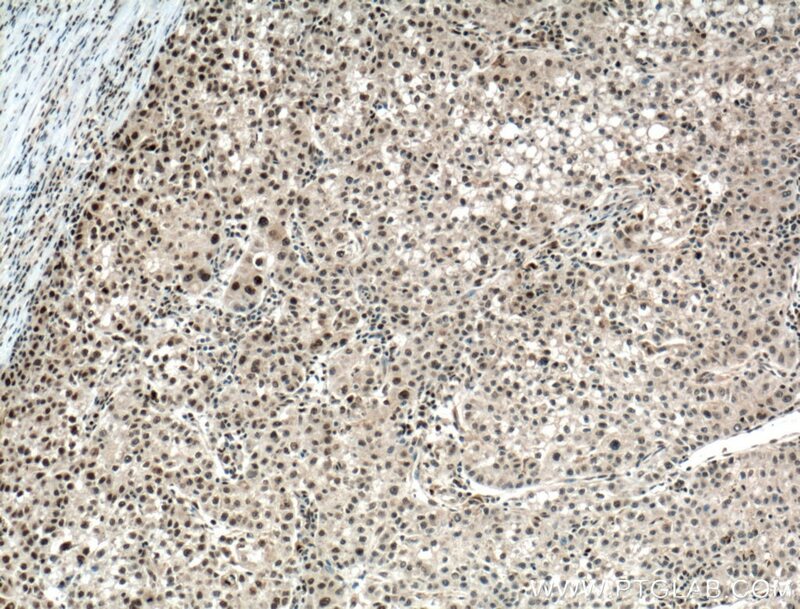 Immunohistochemical analysis of paraffin-embedded human liver cancer tissue slide using 13371-1-AP( PARP1 antibody) at dilution of 1:200 (under 10x lens) heat mediated antigen retrieved with Tris-EDTA buffer(pH9). 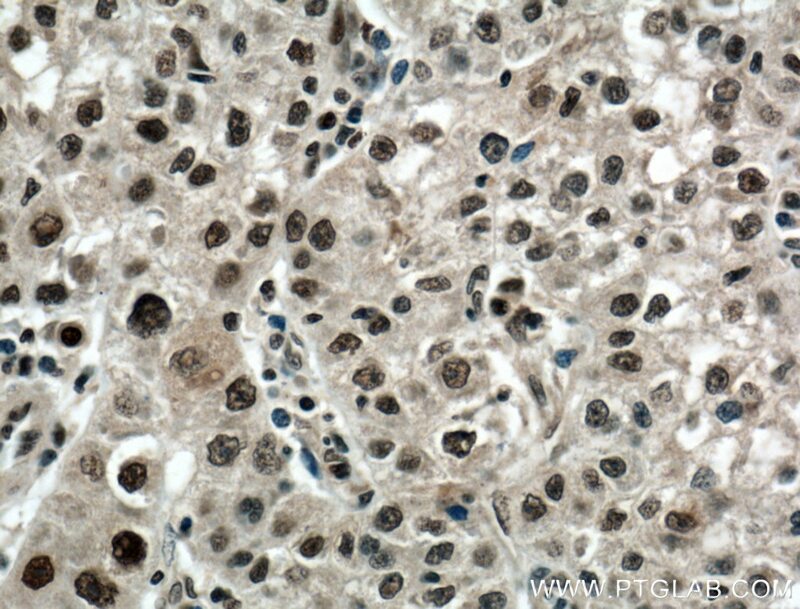 Immunohistochemical analysis of paraffin-embedded human liver cancer tissue slide using 13371-1-AP( PARP1 antibody) at dilution of 1:200 (under 40x lens) heat mediated antigen retrieved with Tris-EDTA buffer(pH9). 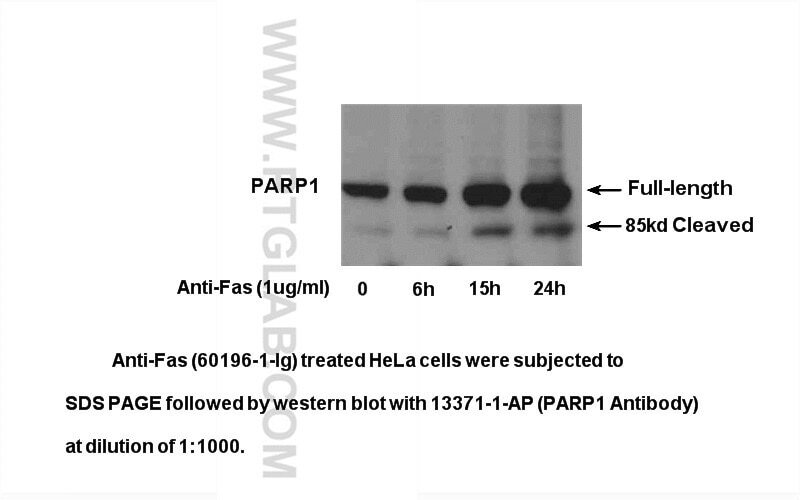 IP Result of anti-PARP1 (IP:13371-1-AP, 4ug; Detection:13371-1-AP 1:600) with K-562 cells lysate 5000ug. PARP1 (poly(ADP-ribose) polymerase 1) is a nuclear enzyme catalyzing the poly(ADP-ribosyl)ation of many key proteins in vivo. The normal function of PARP1 is the routine repair of DNA damage. Activated by DNA strand breaks, the PARP1 is cleaved into an 85 to 89-kDa COOH-terminal fragment and a 24-kDa NH2-terminal peptide by caspases during the apoptotic process. 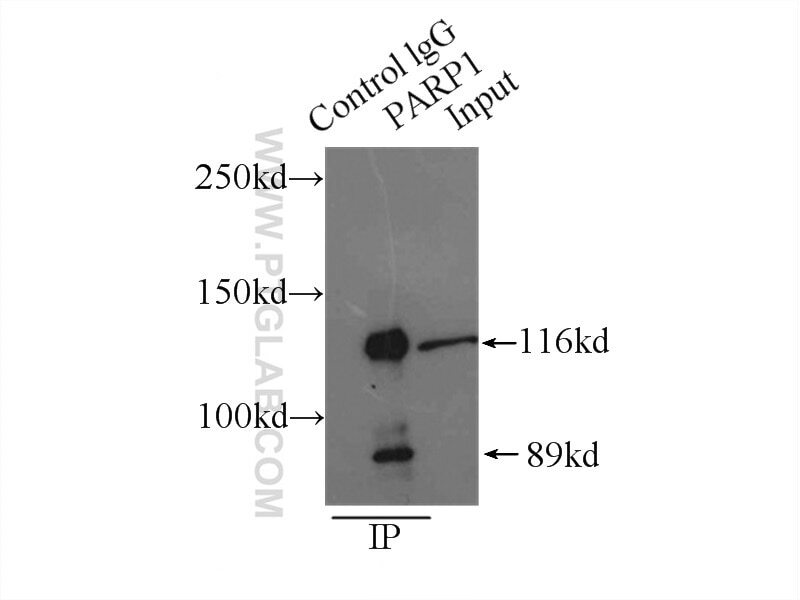 The appearance of PARP fragments is commonly considered as an important biomarker of apoptosis. 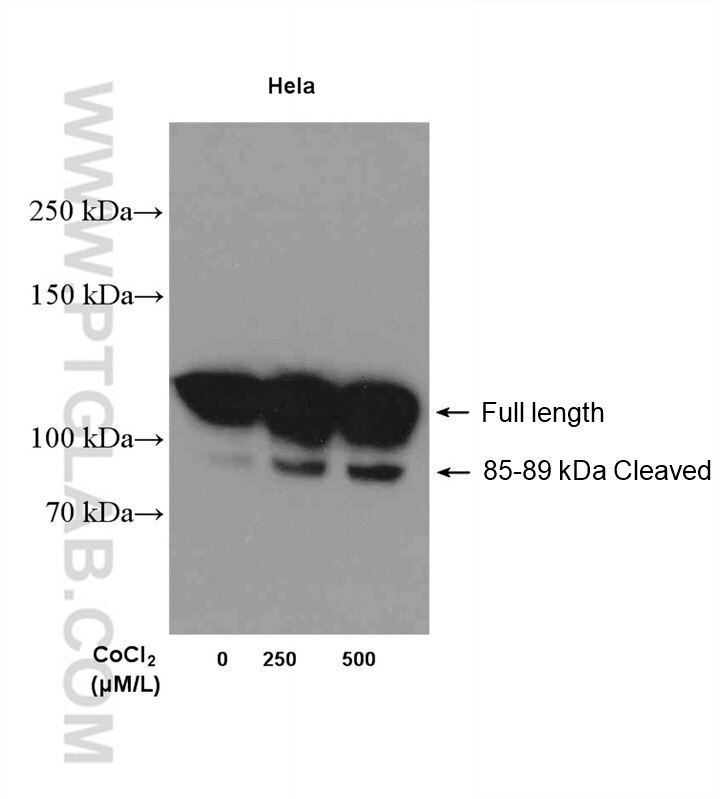 In addition to caspases, other proteases like calpains, cathepsins, granzymes and matrix metalloproteinases (MMPs) have also been reported to cleave PARP1 and gave rise to fragments ranging from 42-89-kD. 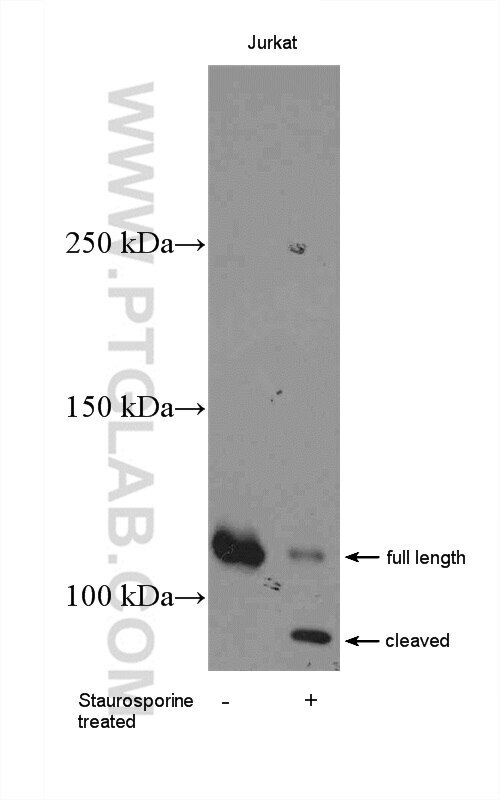 This antibody was generated against the C-terminal region of human PARP1 and it recognizes the full-length as well as the cleavage of the PARP1. Detected Full-length and cleaved PARP-1. Also detected a smaller fragment in mouse mouse liver tissue. Protective effects of the total saponins from Dioscorea nipponica Makino against carbon tetrachloride-induced liver injury in mice through suppression of apoptosis and inflammation. Chemical Characterization and Antitumor Activities of Polysaccharide Extracted from Ganoderma lucidum. 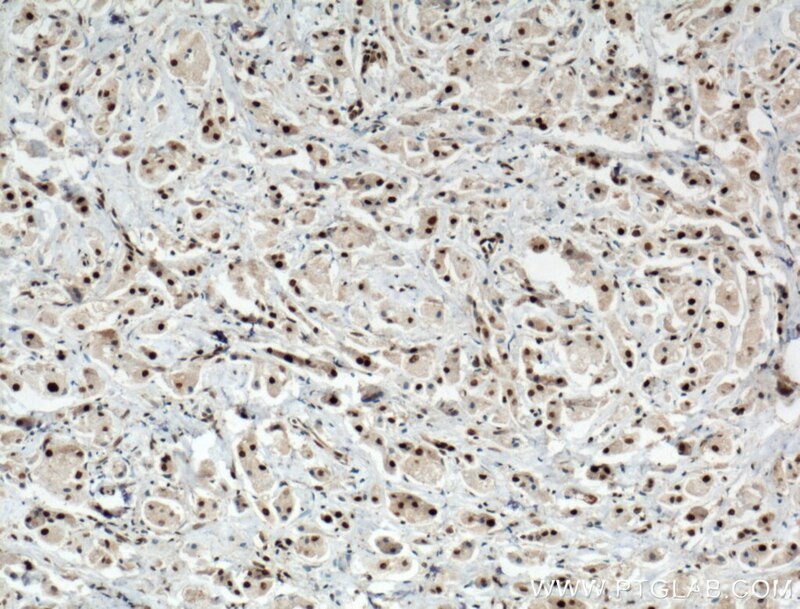 Immunohistochemical analysis of paraffin-embedded human breast cancer tissue slide using 13371-1-AP( PARP1 antibody) at dilution of 1:200 (under 10x lens) heat mediated antigen retrieved with Tris-EDTA buffer(pH9). 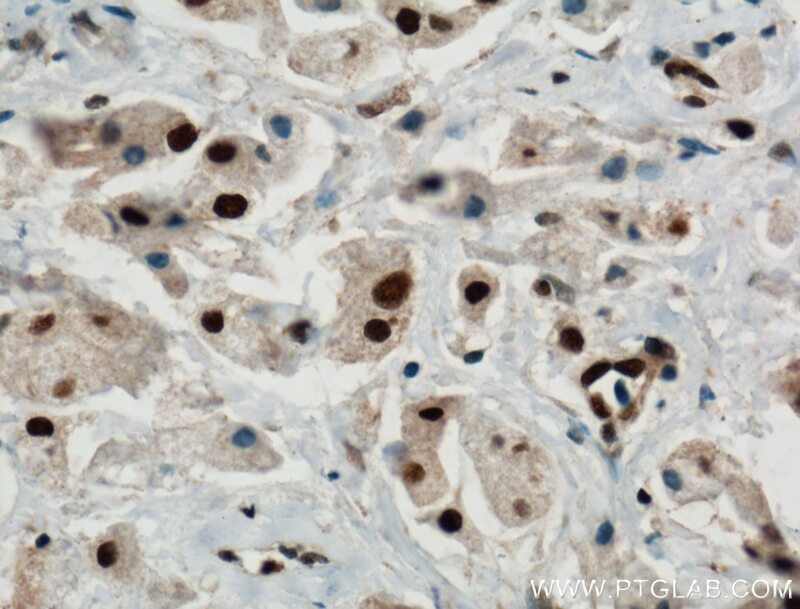 Immunohistochemical analysis of paraffin-embedded human breast cancer tissue slide using 13371-1-AP( PARP1 antibody) at dilution of 1:200 (under 40x lens) heat mediated antigen retrieved with Tris-EDTA buffer(pH9).